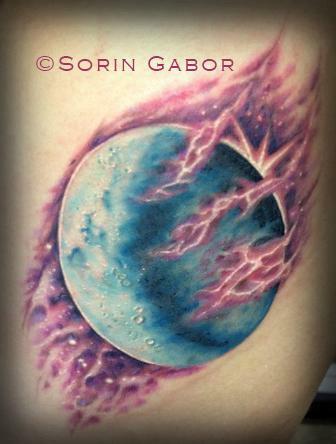 Realistic color moon and space tattoo on ribs. Done at guest spot at Off the Map tattoo in Easthampton. If you'd like to get tattooed I am at Sugar City Tattoo http://www.sugarcitytattoo.com/#portfolio in Crockett California in the East Bay.